Our approach starts with equipping children both mentally and physically, elevating minds and environments through the energy of football, and cultivating individual and unified empowerment for this generation and the ones to follow. Below are the six pillars that we use to equip, elevate, and empower. 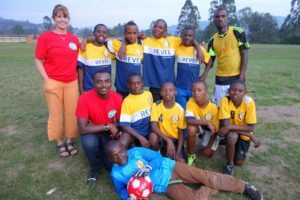 You can get directly involved in any one of these pillars by connecting with us to join our mission, share your connections or insights for our work, or donate soccer gear to children who deserve empowerment! Donated uniforms are important in creating an identity for teams. We partner with local soccer clubs in the U.S. to provide much-needed equipment for the world’s children. These children now play as an official team rather than “footie,” which is similar to a pick-up game without a lot of structure or uniformity. 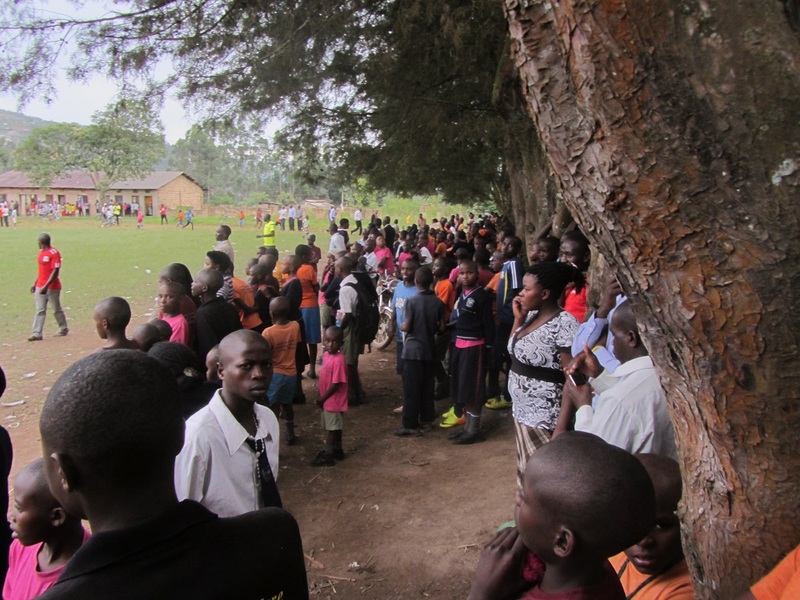 Footie is the norm for these Kabale children. Donating old uniforms is such a simple task for U.S. families with youth soccer players, and their impact on a child’s life can be huge. If you have old uniforms, connect with us and we’ll arrange to collect them for a child in need! A vast majority of Ugandan children have never worn a pair of cleats. Think about the excitement and confidence boost that a pair of boots can bring to a soccer-loving child. We have collected over 1,200 pairs of cleats, providing them to hundreds of Ugandan children. Check out Our Future page for 2017 gear-raising targets, or connect with us to tell about cleats you may have to donate! Even the smallest of details, like having all-matching uniforms with your team, can have profoundly deep effect on a child’s experience. Especially when they may not have experienced that feeling ever before. So, we put care into each detail. The combined power of small details can inspire children to realize their incredible capabilities and unlock opportunities for education, a love for their community, and of course, football. Inspiration leads to empowerment, and empowerment leads to a changed life. We strive to balance the physical and mental aspects of soccer. Mental exercise is equally important for the mind as physical exercise is for for the body. Our philosophy for both impact and football emphasize pushing the limits of your mind to discover strengths and weaknesses, as well as ways to grow with them. So we encourage every child to challenge themselves and dream big. 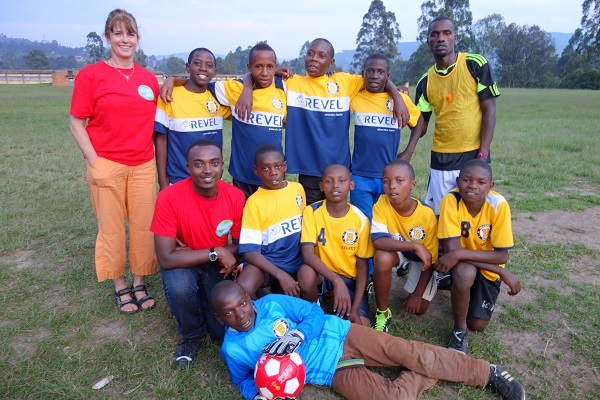 Soccer2Unite believes education is a right, not a privilege. It’s part of our mission to extend educational opportunities to the world’s children. Click over to Our Future page to learn more about our plans to further incorporate education into our work. 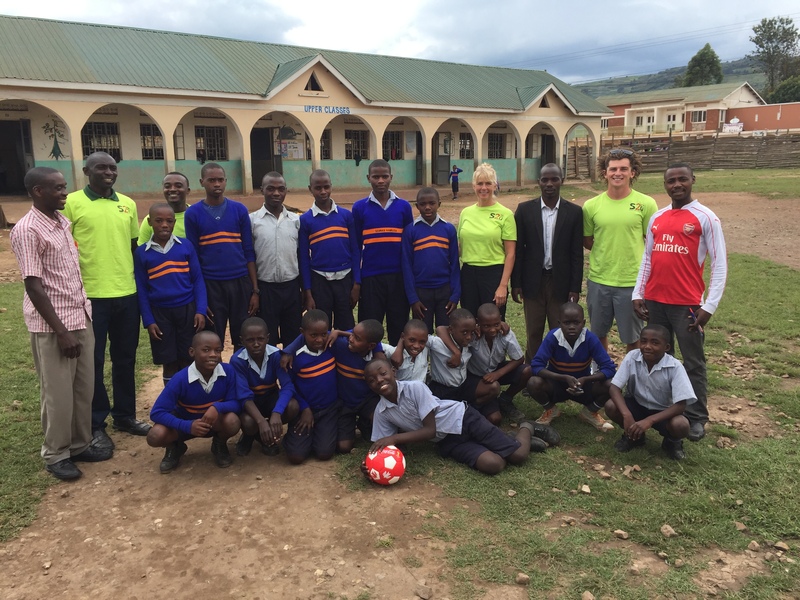 Expanding a sense of community is a primary effect of providing the means for more football. In a culture that is firmly rooted in football, nothing strengthens the community quite like the beautiful game. More than 20 Ugandan schools are now connected and involved with S2U. 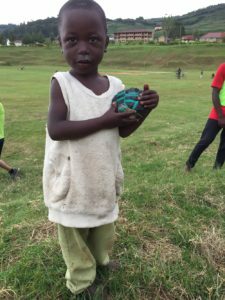 Over 2,000 pounds of gear has been distributed within the communities of Kabale and Kampala, Uganda. 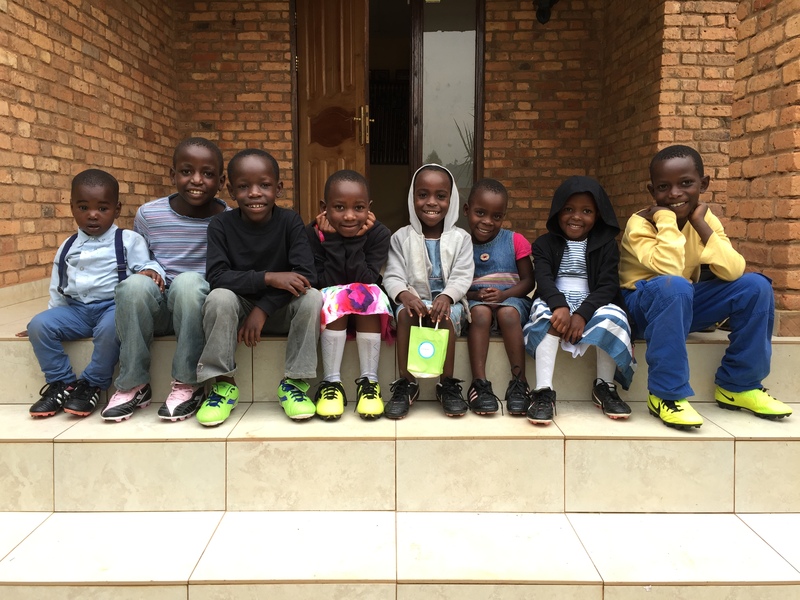 Upwards of 500 children have either received gear or participated in a S2U program. And again, these are only the first steps on Soccer2Unite’s path. Our Future page has what’s next. Empowerment (noun) : the process of becoming stronger and more confident, especially in controlling one’s life and claiming one’s rights. A world with empowered children is a world that is truly unstoppable. Our entire purpose can be boiled down to this one word. A sense of empowerment provides children with a mentality that helps them strive for better. It’s a feeling that can unlock other temporary feelings like joy, while also fueling long term capacities like passion. In Uganda, S2U’s first foreign branch, the empowerment of young girls is especially important. A vast majority of women grow up with limited opportunities in education and recreation due to familial duties. 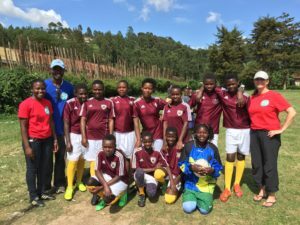 So, we focus on providing as many young girls as possible with a chance to play football. This builds a strong sense of self and perseverance, while also teaching the value of teamwork and unity. Life isn’t always easy but with the assistance of your sisters, nothing is impossible! For where we plan to go from here, check out Our Future to see if you can help us reach our goals! Help us continue to make a difference. "The world keeps turning just as the ball keeps rolling. We have to follow along with the changing, ever-turning world just as the players have to follow the ball and keep it moving. That's the point of the game -- of life. That's why soccer is the world's game."